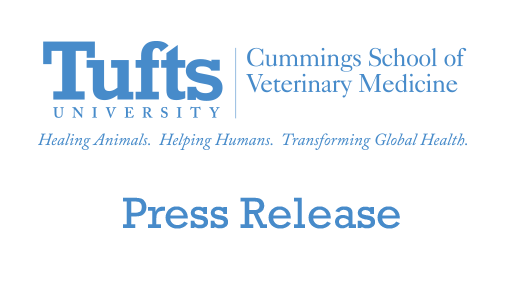 The cows, sheep, alpacas, dogs, horses and other animals of New England’s only veterinary school are awaiting an expected crowd of thousands at the Cummings School of Veterinary Medicine’s annual Open House, planned this year for Saturday, September 24, from 11am to 3pm. 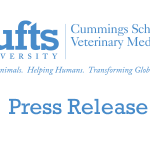 Visitors will be able to tour through three veterinary teaching hospitals—the Foster Hospital for Small Animals, Hospital for Large Animals and Tufts Wildlife Clinic—and watch demonstrations of agility and personal protection dogs and hay rides through the school’s nearly 600-acre campus. Aspiring veterinary students will be given the opportunity to gain insider tips from existing students about the application process and life as a veterinary student. Presentations include a question-and-answer session with admissions representatives about the ins and outs of applying to and attending veterinary school. The school’s working farm will be available for self-guided tours, and visitors can meet the resident sheep, goats, pigs, horses and cattle—including four Oreo cow Belted Galloways, a 2010 donation to the school’s teaching herd. The event is free and open to the public. However, for the purposes of infection control and pet safety, pets must be left at home. Open House offers an opportunity to open our doors and show the public just what a special place the veterinary school is, said Dr. Deborah T. Kochevar, dean of the Cummings School. It’s perfect for children who dream of being veterinarians, neighbors who want to learn more about what goes on here, and everyone who loves animals. This year also marks the Cummings School’s second annual Scouting Day, which allows local Boy Scouts and Girl Scouts to work on requirements for animal-related badges. In addition to having access to many veterinary medical personnel for questions, scouts will learn how to prepare for health profession careers. Additionally, the school will host an open meeting of its Institutional Biosafety Committee from 10am to 11am. Kids of all ages are welcomed to bring their beloved but bedraggled stuffed animals to be stitched or bandaged at the Teddy Bear Clinic, run by the Hospital’s veterinary technicians. Children are also welcomed to participate in the You Be the Vet exercises, in which they will don surgical gowns, participate in mock surgeries and learn the importance of spay and neuter procedures at the Luke and Lily Lerner Spay/Neuter Clinic. Parents are encouraged to bring their cameras for the photo-ready experience. Tufts’ Open House draws thousands of people to showcase the school as well as the town of Grafton, said Grafton Suburban Credit Union President Ed Lopes. The setting is perfect, the timing is perfect and the partnership is perfect. Handicapped parking is available on-campus with free parking for everyone. For the protection of sick animals in our hospitals, and for everyone’s safety, personal pets will not be allowed on campus for Open House. For more information, call (508) 839-5395 or visit the Open House site.